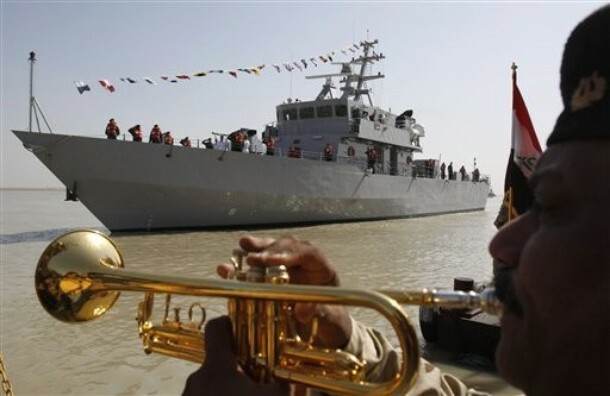 A U.S soldier stands as the Iraqi Navy patrol ship Nasir (Victory) 701 arrives at the port Umm Qasr near Basra Iraq's second-largest city, 550 kilometers (340 miles) southeast of Baghdad, Iraq during a handover ceremony, on Thursday, Nov. 12, 2009. Italian shipyard Fincantieri has handed over the ship, the second of four patrol vessels ordered by the Iraqi Navy. WASHING TON (June 23, 2010) The U.S. Navy delivered two P-302 and P-303 35-meter patrol boats to the Iraqi navy Umm Qasr naval facility Jan. 26. 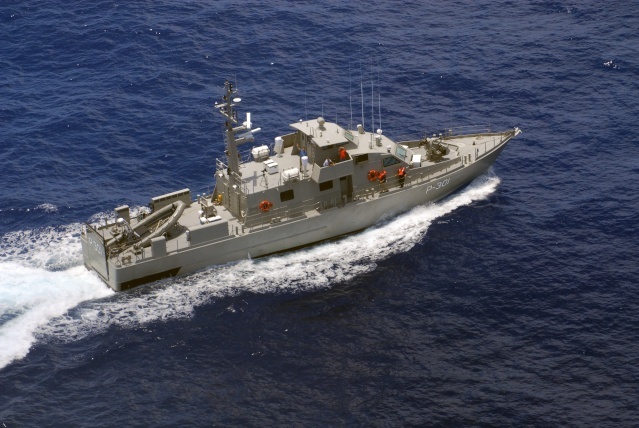 The vessels are the second and third such craft to be delivered to the Iraqi navy as part of a planned 15-ship foreign military sales case managed by the Support Ships, Boats and Craft Program Office in the U.S. Navy Program Executive Office Ships.